When it comes to pleated blinds, our blind installation services cannot be beaten. Based in Filton, Bristol, Bristol Blinds offers a tremendous selection of pleated shades that boast intelligently designed insulation features. Though they are primarily used in conservatories, our versatile pleated blinds excel in many other interior settings. Stylish and practical, they are available in a number of styles, sizes, and colours. That means it's easy to match our blinds to the design of your property. 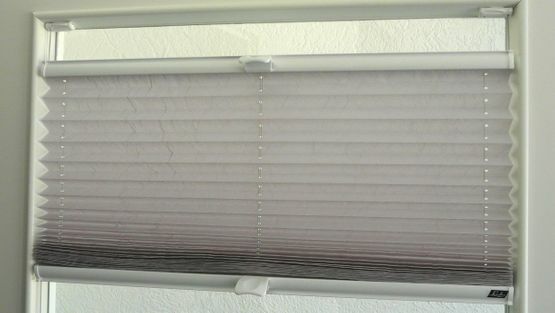 Most of the pleated blinds we offer feature solar reflective backing that helps to reduce the impact of solar heat. Serving as exceptional insulators, these blinds help to block out unsolicited summer heat while locking out the interminable cold of winter. As a result, they'll help you to manage your home's temperature levels more efficiently. Robust and hardwearing, these blinds are also available as part of our best-in-class Intu™ systems. The pleated blinds and installation services we offer are available to both domestic and commercial clients. Experienced, courteous, and fully insured, our dedicated fitting team will visit your property to take measurements and expertly install the blinds. 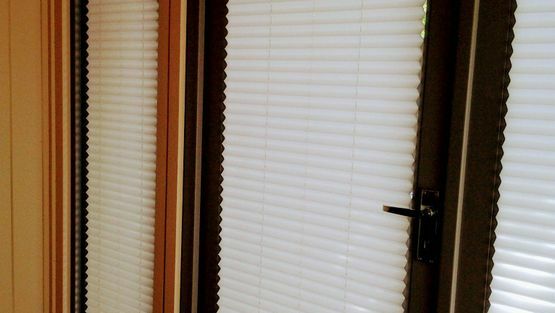 Contact us today, in Filton, Bristol, for more details about the pleated blinds and blind installation services we capably carry out.